“There is a river whose streams shall make glad the city of God. We are The Body, and Worship is our heartbeat. Each of our services offers the opportunity to celebrate the goodness of our God and to come to Him in total adoration. It is our heart’s desire to be true worshipers; not to entertain but to inspire people and to draw them into the presence of God and into a deeper walk with Him. Prayer. That access between heaven and earth through which people get to their God and God gets to His people. Our Lord was ever in prayer and communion with The Father and he teaches us to do likewise. Prayer is a part of everything we do at The River and it is through intercessory prayer that we carry the needs of the body to the doors of heaven, stand in the gap for the lost and broken, seek direction, and support the body of Christ globally. At The River, we embrace Family worship. We believe that regardless of the age of your student, they have a place in the body of Christ and we are passionate about creating opportunities for them to grow in their love for Jesus. Sharing all of the good things that God is doing is at the heart of what our multi-media ministry is all about. The sound and video teams work hard to make our services available through live stream and recorded format. This group also plays a big part in our prison outreach through sermon, discipleship, and training videos. At The River, we love community. Community is an essential part of furthering the kingdom of God in the earth and we believe that it starts in the local church. It is our hope to find a place for each of our members to get connected and start serving. Do you just need a little more info about what goes on? Fill out this form, give us a call, or just stop in and see us. Click HERE for Building Rental info. Simple and secure. 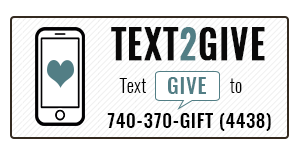 Give a one-time or recurring online gift. Check out our services every Sunday beginning at 10:30am and Wednesdays beginning at 6:30pm.